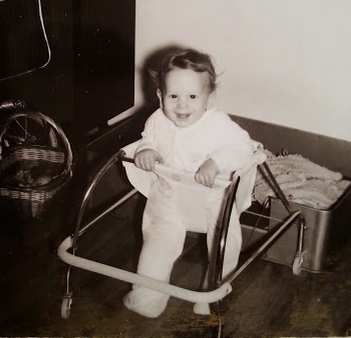 Baby @barefootr at 8 months old with cast on right clubfoot. So here’s an interesting fact about me: I was born with a club foot, or “congenital talipes equinovarus” on just my right foot. Treatment involved a series of casts starting soon after I was born, changed every few weeks, that gradually moved my foot back into the normal position. After 4.5 months, they figured I was good to go and stopped the casts, but my foot reverted, so they put me back in casts for another 4.5 months. The final cast was removed when I turned 9 months old and I continued sleeping with a bar between my feet. This time the fix stuck and I was walking by the last week of my 9th month. Forty-nine years after I was treated, I returned to visit the orthopedist who fixed my foot: Dr. Marvin Mishkin, who at 83 years old was still practicing and was delighted to visit with me. 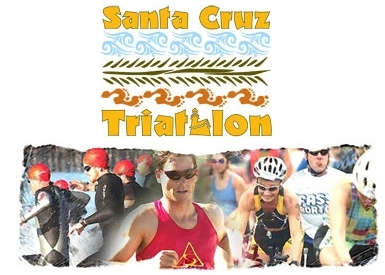 Now, this condition and its treatment has not impeded me physically at all: I was quite active as a kid and continue to be so as an adult (numerous triathlons, a couple of marathons and various other running races, snowboarding, crossfit, parkour, etc.). This is good news for kids born with this fairly common condition (1/1000 births), and their concerned parents. The only repercussion I’ve noticed has been a significant decrease in flexibility (dorsiflexion) of my affected ankle (right side). I didn’t become aware of this until my mid/late 20’s, though it may have been a factor before then — I just never noticed it. It’s most apparent when I squat down deep: my right heel comes off the ground right away, while my left heel stays flat on the ground as low as I can go. Stretching and yoga have helped my right ankle flexibility, but just a tad. This issue has been most noticeable when snowboarding, which require lots of ankle flexion in the rear foot (hence I’m goofy). Right calf (clubfoot side) hypotrophy relative to left. My right ankle seems to have a different skeletal structure which prevents it from flexing like my non-club side. Whether this was primarily a consequence of the casting treatment or the clubfoot condition itself, I’m not sure. Dr. Miskin feels it likely is a consequence of the condition itself. Another noticeable thing is the asymmetry in my calf muscle structure of my right vs left side: My right calf is significantly skinnier than my left calf — something you would only notice when I’m standing still and draw attention to it. My right foot is slightly shorter and wider than my left and has a significantly different wear pattern on the sole. 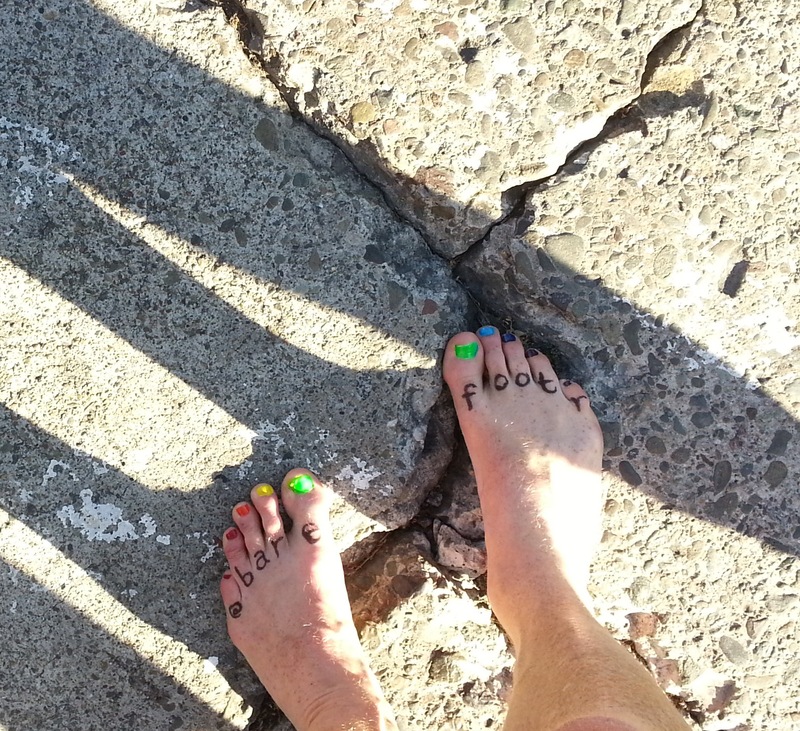 How has the clubfoot affected me as a barefoot runner or in my other athletic endeavors? Stay tuned for additional thoughts & pics. 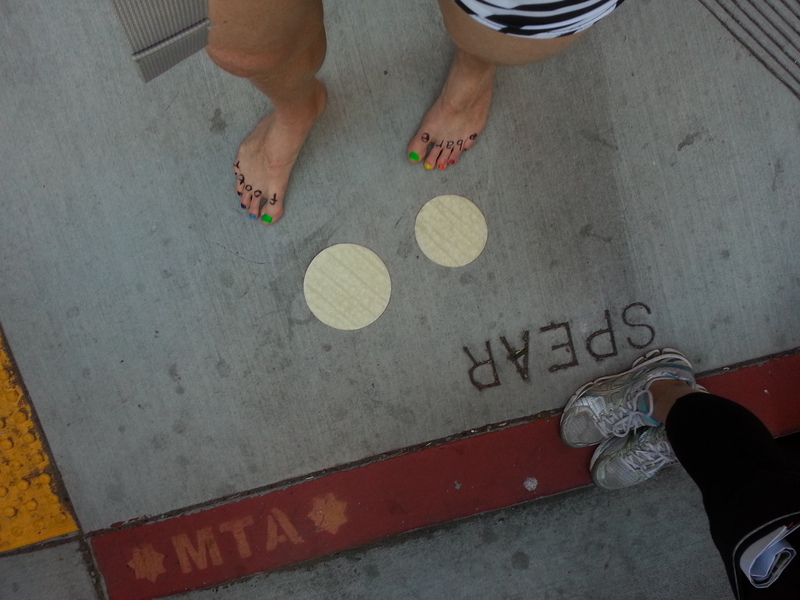 I’ve been running the Bay To Breakers 12K barefoot since 2011 and the tradition will continue for 2013 (it is called a footrace after all — not a “shoe race” ;)). So I thought I’d post a few tips for those curious about giving it a try. First things first: DON’T decide to run this or any other road race barefoot on a whim! 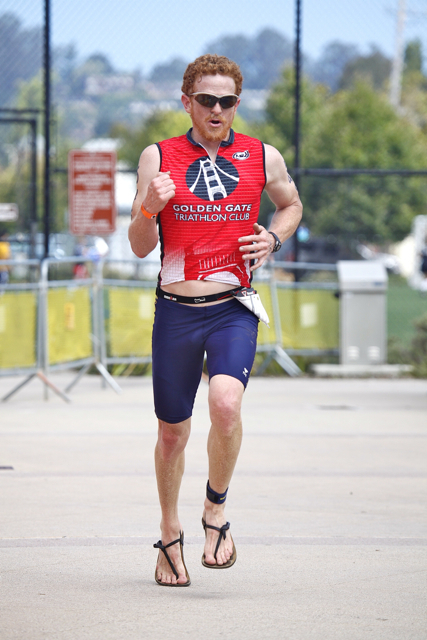 Running barefoot on hard surfaces like the streets of San Francisco might look and feel natural and easy, but it is in fact highly technical, especially if you want to go fast like I do. Think of it as the running equivalent of free climbing. It’s not merely a matter of foot/leg strength and sole conditioning — there’s also lots of neuromuscular adaptation necessary which takes time to acquire. Adaptation of your feet, legs, and brain in processing all the new signals from your feet takes time. Rush that process and you’re inviting all manner of injury (bruises, nerve damage, stress fractures, tendonitis, etc.). Progress requires pushing the limits of your capabilities, but always ease back when you feel pain. You can still be friends with shoes. Rewards are great for the patient. If you are new to minimalist/barefoot running or are a big-time heel striker, you should get yourself a pair of minimalist shoes to help you transition to a barefoot style. 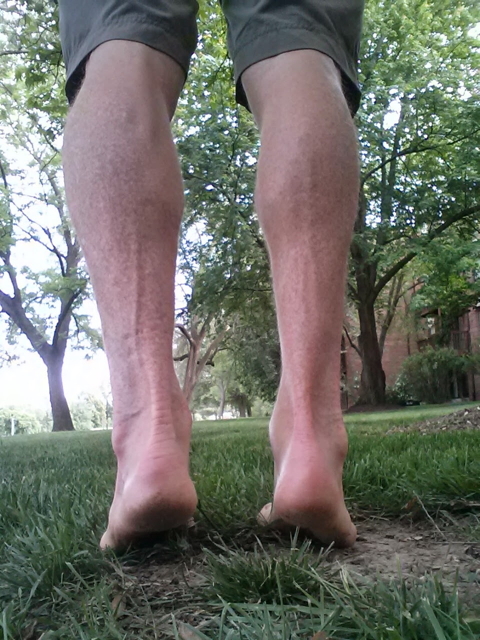 Running barefoot on super-soft surfaces is great (sand, astroturf, smooth grass). Just be very careful to NOT do too much too soon — the shoes can permit you to go beyond what your feet are ready to handle, and this is the leading cause of injury for minimalist shoe newbies. Ideally, find an experienced coach or a barefoot running group in your area that can provide feedback and tips about your running form. 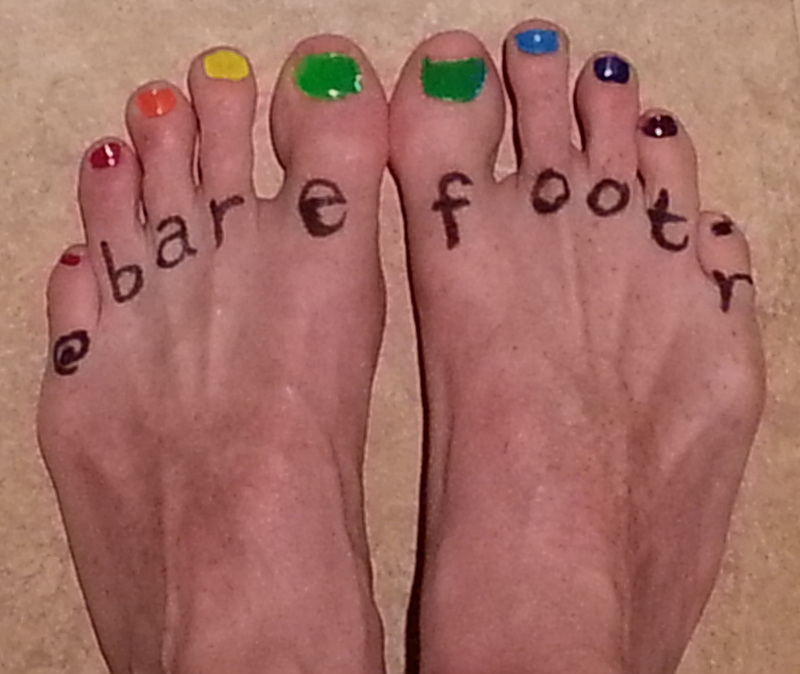 The Barefoot Runners Society has some good resources. Also, check out some tips and links provided in previous blog posts here at barefootr.com and peruse the links in the blogroll further down on the right. If you’re already well-adapted to running in minimalist footwear such as lightweight trainers, track shoes, or VFF’s and you can run a 10k in them, your lower body musculature is good to go. All you need to do now is to condition the soles of your feet to get them adapted to direct contact with the world. Part of this is about toughening, but it’s actually more about neural recalibration and learning how to step lightly and react more quickly to the unexpected. For a 12k (7.5 mile) race like the B2B, you should be able to run ~3-4 miles barefoot at your target pace on a flat, smooth-ish surfaces such as a rubberized running track or a packed-dirt, near-rock-free trail. To adapt to asphalt, start walking and easy jogging around the block barefoot on the sidewalk on a near-daily basis. Experiment with slow running on different streets (notice how different two seemingly identical streets can feel, even different parts of the same street). Go extremely EASY initially. Allow at least 3 months for the toughening/neural adaptation to occur. Six months is even better. To prime your feet for the event, bump up your barefoot time outdoors starting 4 weeks prior to the race, with a long-ish day of barefoot running/walking on varied paved surfaces 1 week before. Then go easy in the week leading up to the event, but maintain a minimal amount of daily barefoot time on paved surfaces. 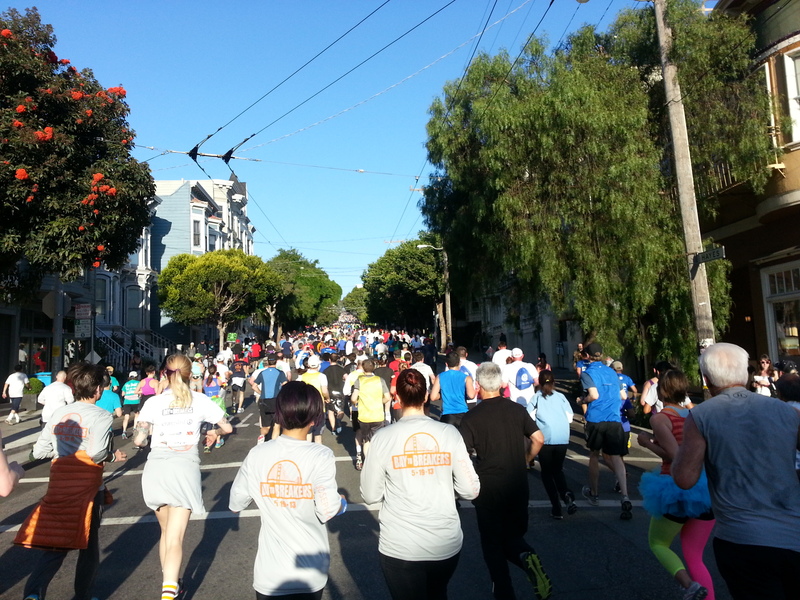 And don’t forget to enjoy the great San Francisco scenery along the route. Always be able to see the upcoming road in front of you. This is quite important. You don’t want to find yourself jam-packed behind a set of runners because they will obscure your view of the road and what you are about to step on. A key rule of barefoot running is that you can almost always avoid stepping on something if you can see it coming. Getting a clear view of the road can be a challenge at this often crowded race. It’s doable but be prepared to do some jockeying around. When you get distracted by interesting sights and costumes, just slow down your pace, walk or stop to take in the views. If you can run on the painted street lines, your feet will have a much happier time and will last longer before “going tender”. These street lines can be smooth as satin, especially in Golden Gate park, so jockey yourself onto them when you can. The asphalt on Howard Street is usually in good shape though it can be wet. In 2012 the entire length of Howard was quite wet even though there had been no rain, so it must have been sprayed in advance of the race. I was worried about the water softening my feet, but found that to not be a problem. Prolonged water exposure could be an issue depending on the conditioning of your feet, so try to minimize water exposure when you can. 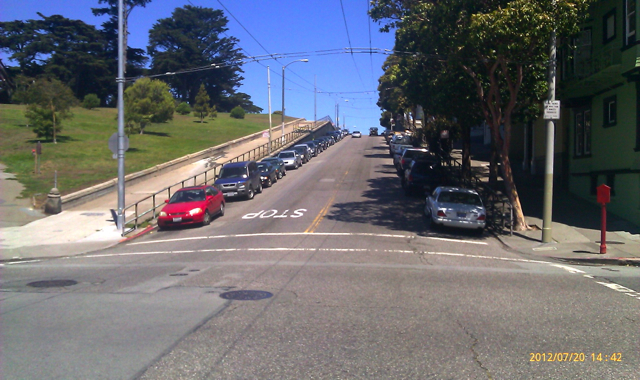 The asphalt can get a little choppier in the approach to the Hayes Street hill. Generally keep an eye out for rough spots and run on the lines when you can. 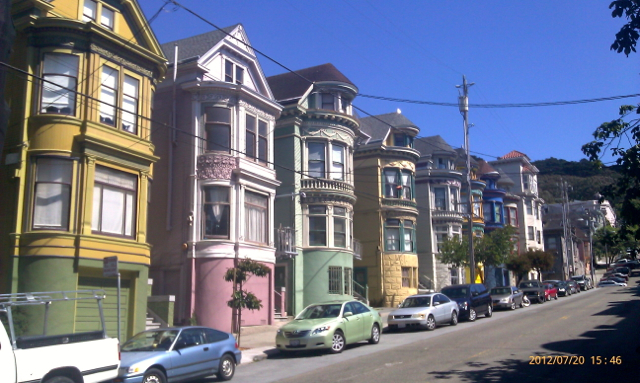 You’ll really appreciate the lightness of being barefoot as you climb up Hayes Street, just try not to get stuck behind local clusters of runners. Keep it moving. Backside of Hayes Street Hill – Rough! You’ve finally crested Hayes Street — but don’t relax just yet! The backside (downhill) section of Hayes Street has one of the roughest section of road on the course. 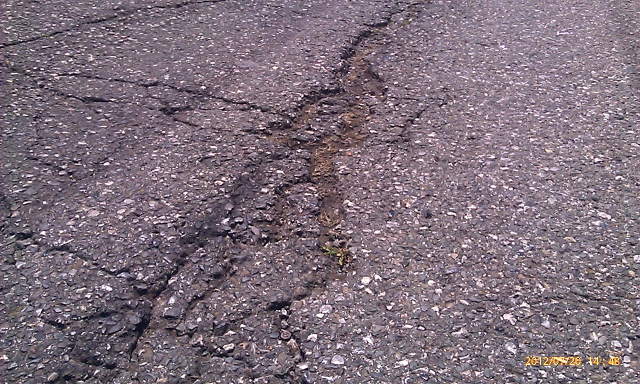 Keep your speed under control and steer clear of nasty ruts in the asphalt. Thankfully, this section is quite short. After Hayes, there’s about 1 mile of flat road leading you into Golden Gate park. 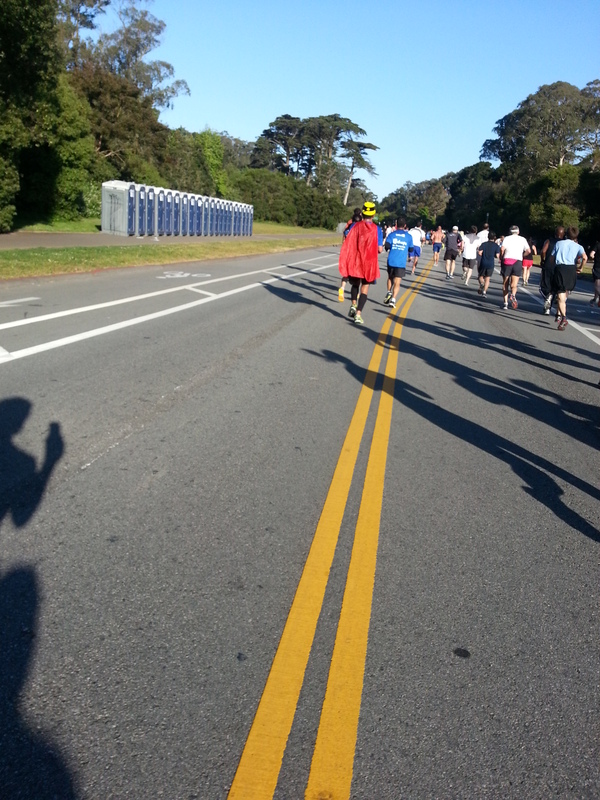 The last 3.5 miles of the race are mostly downhill going through Golden Gate Park. There are ample painted street lines in the park so it’s easy to run on these soft lines to give your soles a break if you need it. Staying on the lines may require some crowd battling, however. Downhill can be a big challenge for barefooters as heel striking tends to come into play to help control speed and alleviate the pounding as gravity pulls you faster. The down slope is quite gradual in GG park with frequent flat sections, so it’s not too challenging to maintain a good midfoot/forefoot strike. 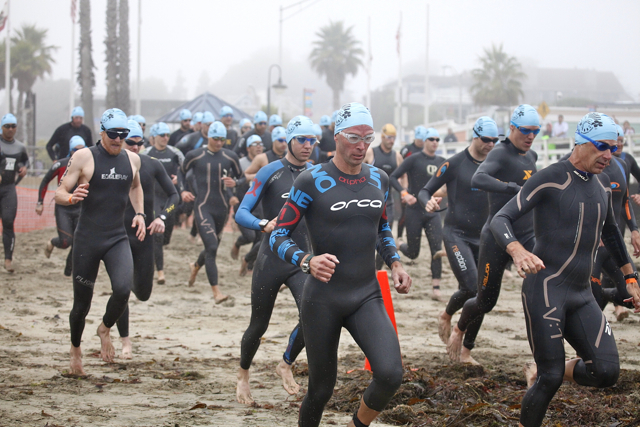 Post-race cooling off in the sand & surf of Ocean Beach is an essential part of the race – ESPECIALLY for barefoot types. Towards the end of the race, the endorphins have kicked in and with the smell of sea air and sight of the finish line, you may not notice changes in the road, but do your best to stay alert. The finish line has been changed for 2013. The course now heads left instead of right off of JFK drive at the Western end of the park, putting you onto MLK Jr. Drive. The road surface in this last half mile of the race before the Great Highway is very rough so be very careful here. There are no nice painted lines to run on 😦 — I had to back off my pace several times in this section as the road became more shark-toothed. 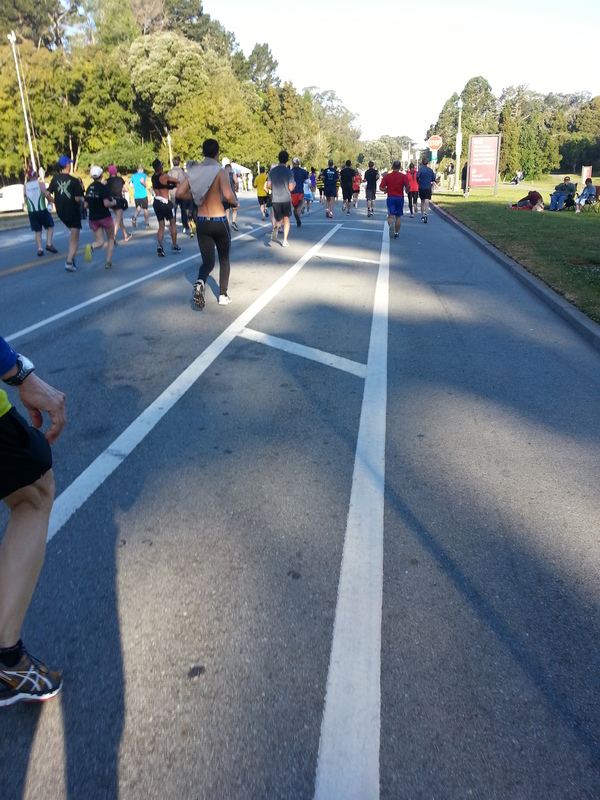 It was hard to track the smoother portions of the road, especially with the crowd of runners limiting my options. Running on the grass is an option in some stretches here, but look out for hard-to-see things like eucalyptus ‘buttons’. The final quarter mile of the race along the Great Highway was a dream to run on after exiting GG park — smooth dark asphalt, with painted lines too. It’s a good demonstration of another key point for barefoot running: the roughness and unevenness of a running surface matters WAY more than its material hardness. I would pick flat, smooth, rock-hard marble over lumpy astroturf any day (though flat astroturf or groomed real turf beats everything). This leads to an important barefooting corollary, which works well as good advice for life in general: do the best you can to deal with whatever surface the real world throws at you. 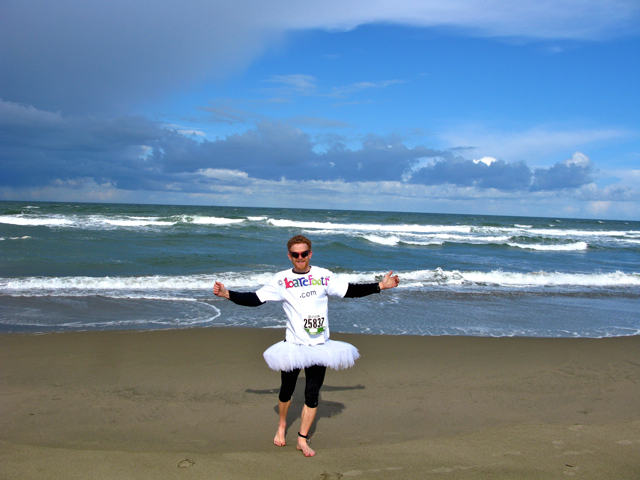 No Bay2Breakers experience is complete without a walk in the sands of Ocean Beach to sample the surf — the actual breakers that give the race its name. I’m always astounded at how many participants forgo this trip (90-95% I’d estimate). The cool sand and sea water rejuvenates your feet like nothing else. Keep an eye out for nasties in the sand (sharp shells, cans, glass). Fortunately, the sand is typically very nice and such objects are quite rare. Sand dollars can be quite abundant. To give my feet a break after the race, I usually carry a pair of minimal shoes to don after I cool down — VFF’s or Luna Sandals or Xero Shoes. This year I brought along my 2-year old Traditional Luna’s. A nice thing about minimalist footwear is that it’s highly portable. I ran the race with these sandals tucked into my gear belt (single water bottle holder) around the small of my back and hardly noticed them. So how did I do results-wise? My official finish time was just under 1 hour, finishing 1,165 out of 22,469 runners (203 out of 2,226 among my 40-49M age group). 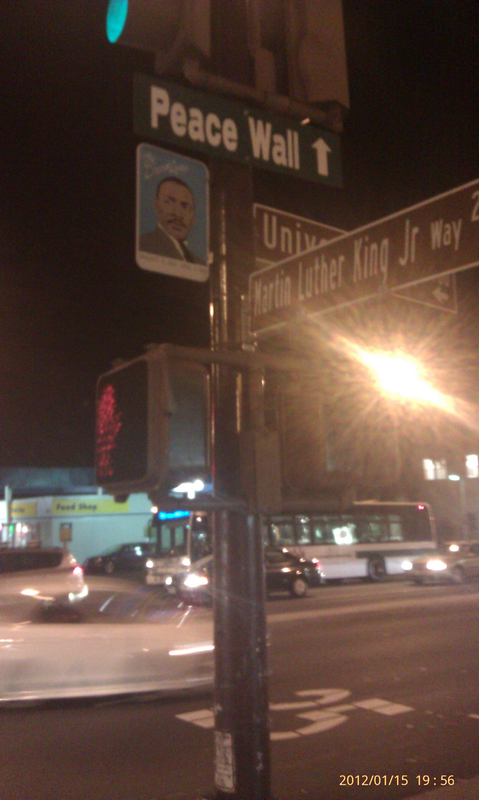 I started in the C wave, so this time includes a good mile’s worth of crowd jockeying plus some stops for photo ops. Here’s the official results site – search for bib # 24381 (sorry, they don’t provide a direct link). Next year, I intend to make a serious bid for the sub-seeded wave. Note that this post was updated on 15 July 2013 with additional photos and info added from this year’s event. 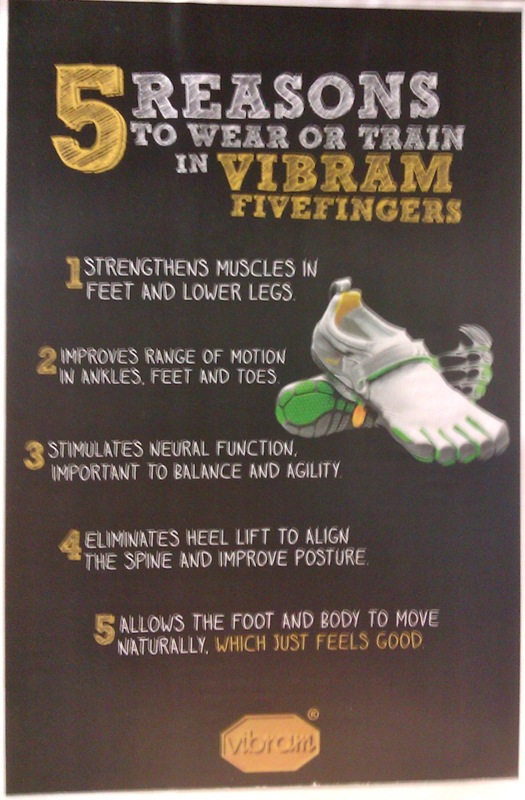 Vibram provided a nice summary of the benefits of wearing/training in their shoes. All of their points apply equally well to other minimalist shoes, with increasing applicability as you get closer to barefoot. Strengthens muscles in feet and lower legs. Improves range of motion in ankles, feet, and toes. Stimulates neural function. Important to balance and agility. Eliminates heel lift to align the spine and improve posture. For a good demo of these nerve endings, have a friend run their fingers up the bottom of your foot, then compare that to doing the same thing on your knee. HUGE difference. Wearing shoes for most of your life causes these nerve endings in your feet to dial up their sensitivity, essentially trying to ‘feel through’ your footwear. When you start going minimal, your hypersensitive feet will suddenly find themselves awash in ‘new data’ — and they will likely complain about it. When you go to a movie theatre (or sit in a dark room for a couple of hours) and then walk out into bright daylight, your eyes hurt and it’s painful to see, but after a minute or so they adapt. An analogous thing happens with your feet when you suddenly start going minimal or barefoot after taking your feet out of the confinement of your shoes. Because your feet have been protected for so long, the adaptation process is correspondingly longer. But the amazing thing is: you don’t really lose any sensitivity. Once the sensory nerves in your feet re-calibrate to being barefoot or minimally shod, you can still feel all the small random bits on the ground that you step on — they just don’t bug you so much. If you are are runner (“cursor” in Latin) these benefits also come with risks as you start increasing the duration and/or intensity of your workouts in minimal (or no) shoes. There’s a natural tendency to do too much too soon because, as your feet and legs begin adapting, it “just feels good” (Vibram’s point #5). Coming from the comfy shoe world, it takes a long time to build up the strength in your feet and lower leg musculature & connective tissue required to tolerate running in minimal footwear. So keep most of your runs in your regular shoes and use the minimal shoes just occasionally (once per week max) for the first month or two, and ramp up gradually from there. And as usual, get clearance from your doctor before starting an exercise program or making a major change to your existing program. I did a track workout on Martin Luther King Jr. Day (consider this post part of my community service ;)). The workout was differentiated for long and middle distance runners. Since I fall somewhere in between, I decided to do a mix. So I was definitely starting to flag by my last 1000 (which I did in VFFs) but managed to slightly descend the 400’s (which I ran barefoot). I attribute the relatively stronger performance in the 400’s not to footwear choice, but mostly to a general lack of longer distance tempo work which revealed itself in the 1000’s. How did my feet do? After taking off the VFFs, the rubberized surface of the track initially felt a bit rough, but after the first 200m it was no problem. The added feedback from my feet was welcome and provided some positive stimulation to my leg speed — a good demonstration that though VFFs are minimal, they are still a big leap from no shoes at all. My feet have come a long way from last August when I did a similar workout (though shorter total distance) and fried my dogs good. The cooler track surface tonight probably helped (50F and no sun vs. ~80F at noon in Aug), but I don’t think that was a major factor. Most of the heat your feet experience during fast barefoot running is due to frictional forces of foot strike rather than from the temp of the surface you’re running on. With time, your soles will be able to tolerate more of this friction, but be patient (I’m currently at my 2 year mark in doing speed workouts in minimal footwear). Highly recommended après barefoot run activity: take a few laps on cool, evenly-surfaced grass or the beach (if you’re near one). The inside of the track is the perfect spot (or Ocean beach post-B2B). Regarding the issue of surface & air temperature: Here in the moderate SF Bay area, temperature isn’t usually much of a factor, but in hotter/cooler parts of the country, running surface temp and air temp can be a major factor. Choose the optimal time of day to run if you live in such places and want to go barefoot — or just keep the VFFs/sandals on until the weather cooperates! 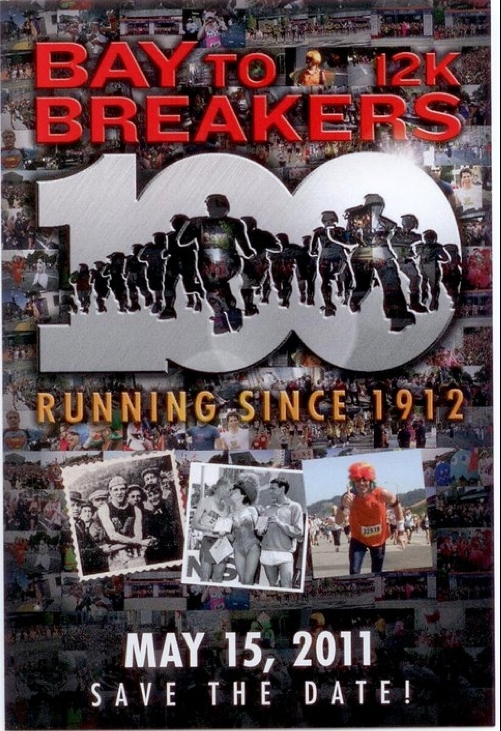 The centennial running of the Bay To Breakers 12K will take place in San Francisco this Sunday May 15, 2011. Last year, I ran it in my KSO’s, while carrying a pair of lightweight trainers as a back-up just in case my feet couldn’t take the full distance in the KSO’s. I had been using the VFF’s for about 5 months at that point and I knew that 7.5 miles would be pushing it. I made it the whole way at a decent but not killer pace for me (~7:30′ or 7:45′ miles), though last ~2 miles were tough. This year I plan to up the ante. The plan is to run barefoot at least to the top of Hayes Street and tote a pair of VFF’s to don when my soles need a break. It’s not quite on par with Abebe Bikila, but I think it will be a fitting way to commemorate the 100th anniversary of this famous foot race. 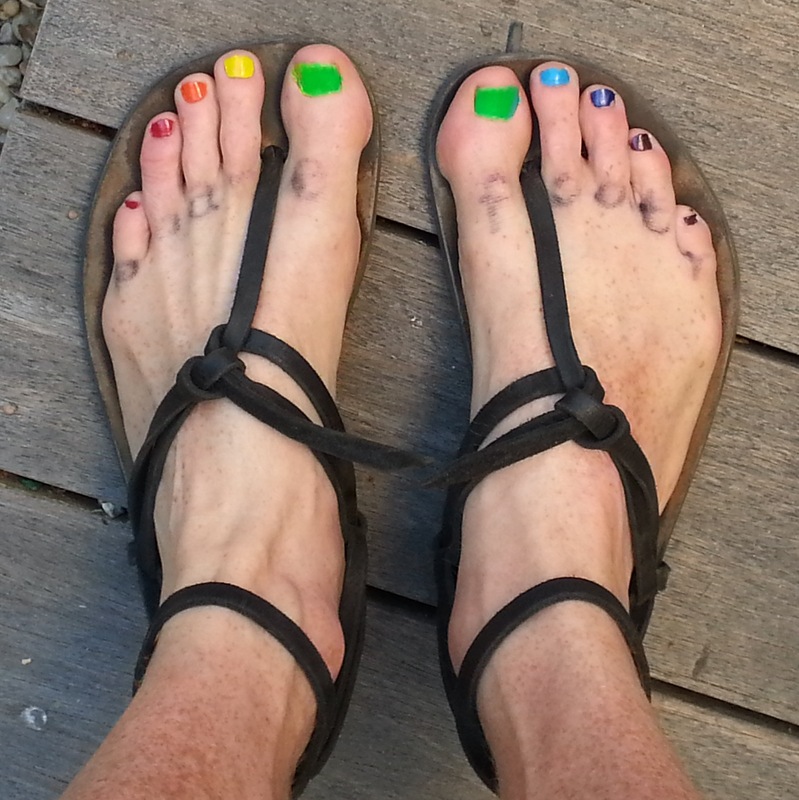 I encourage other minimalist shoe runners doing the #B2B100 to join me in this challenge. If you do go bare, be extremely vigilant of random junk on the course — think safety first! If you’re interested in meeting up after the race, aim for letter “B” at the Footstock alphabet garden in Speedway Meadow around 9:30am. Take off your shoes so we can find each other! Abebe Bikila represented Ethiopia sans shoes in the 1960 Rome Olympics and became the first black African to win gold. Truly inspirational. He ran barefoot because he was unable to find a comfortable pair of running shoes and he had been regularly training barefoot. There are some other videos here and here — the latter had close-up slow-motion of Abebe running, but it appears to have been pulled from YouTube :(. In 2010, fifty years after Abebe’s historic win, Vibram released its Bikila model of VFFs, helping to bring Abebe-style running to the masses. Click on image for a good review of the Bikilas. Do you think we’ll ever see another barefoot Olympic marathoner? Perhaps a VFF-er?